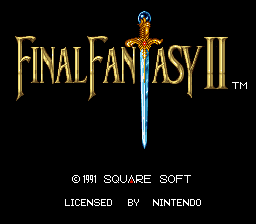 For those of you that are curious, FF2 was shipped off to the US as an easier and toned down version of FF4. One of the changes made was to remove all existence of 3 White Magic spells, Protect, Shell, and Dispel. 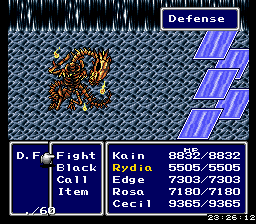 You can see Protect (known as Armor) and Shell when fighting the Mind monster in the Lunar Core. Shell is seen as a counter to Holy or Meteo on the Mind monster. There are only 4 weapons that cast these spells, and these changes will allow to see the effects of these spells. The spells were never removed from the game… they are merely hidden and the spells learned by level had changed.